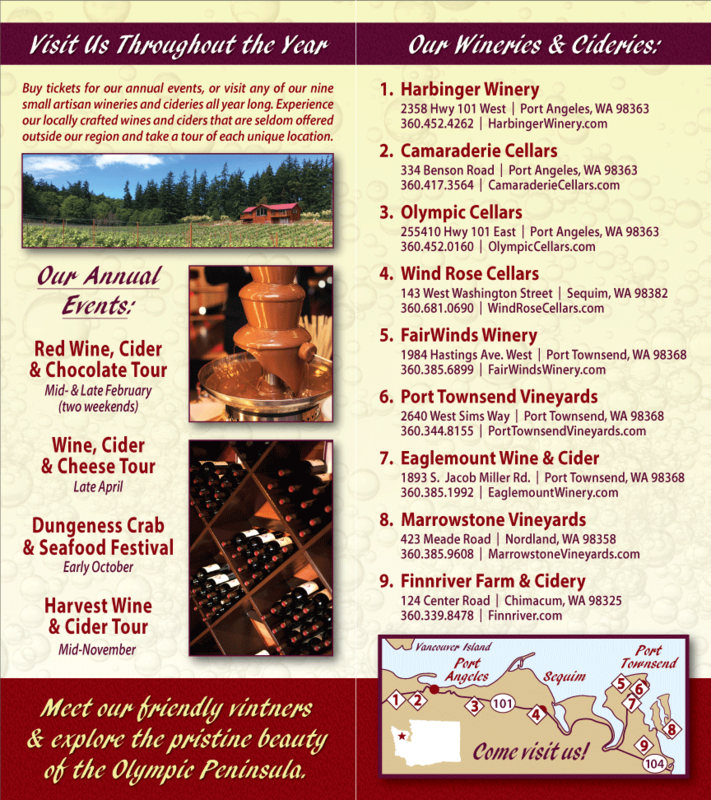 Marrowstone Vineyards joined Olympic Peninsula Wineries this January and we’re so very happy to have them with us! 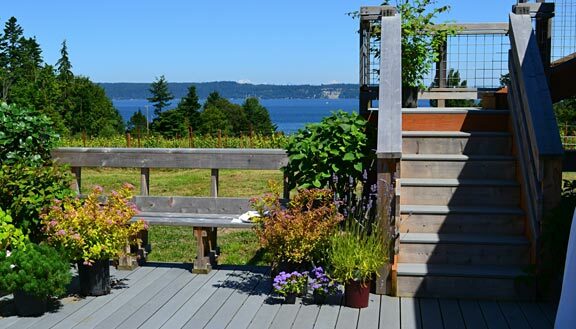 Marrowstone Vineyards is located on Marrowstone Island, naturally enough, atop a hill overlooking Puget Sound. Sampling the vineyard’s wines while taking in the view from the winery’s deck is quite the experience: Whidbey Island setting there in the sparkling blue of the sound, the snow-capped peaks of the Cascade Mountains in the distance; sailboats and large cruise, Navy, or cargo ships passing; and the kind quiet you can only find when you’re well away from the hustle and bustle of the city. Breathtaking. Ken and Judith Collins relocated from northern California to the Pacific Northwest in 2006 and found themselves with five acres and no real idea what they could to do with it. A Master Gardner’s class gave them the hint they were after, however, when they learned that, contrary to what they had previously been told, certain varieties of grapes do, in fact, do well here in the Puget Sound region. Marrowstone Vineyard’s wines use Washington and Oregon grape varieties, such as Madeleine Angevine, Siegerrebe, Pinot Noir, Pinot Gris and Reisling. Their wines are Our wines are fermented to a crisp and refreshing dryness that pairs well with seafood, cheeses, and chicken dishes. They also make a delicious, spiced apple wine reminiscent of apple pie. Mmmmm! Marrowstone Vineyards is more than just a winery, they also serve as a gallery for local artists. Sculpture, paintings, pottery, blown glass, and more decorate the walls of the tasting room and fill the upstairs gallery of the winery. Marrowstone Vineyards is also available for weddings, reunions, and can even provide referrals for caterers, musicians, photographers, etc. Visit their website for more information or, even better, visit them in person the next time you are here on the Olympic Peninsula! Feeling like a weekend of fresh air and exercise? Head to the Olympic Peninsula and hike the Spruce Railroad Trail, then enjoy a glass of Olympic Peninsula, Washington State Wine. Looking forward to sipping wine and admiring the view at Camaderie Cellars this spring. During World War I, a railroad was built to transport Sitka Spruce from the forests of the Olympic Peninsula to Seattle. Today, a section of the old railroad bed has been converted into the Spruce Railroad Trail, which hugs Lake Crescent. The trail is just under four miles and offers wonderful views of Lake Crescent and the surrounding Pacific Northwest forests. A good walk is bound to make you thirsty. After hiking the Spruce Railroad Trail, stop by one of the Washington State Wineries in Port Angeles for a glass of locally crafted wine. Harbinger Winery is open daily from 11 a.m. to 6 p.m (5 p.m. on Sundays). Tucked in the middle of the winery, it is a fun place to sip wine and their newest production – beer. Olympic Cellars is open daily 11 a.m. to 5 p.m. Take time to unwind in this historic old barn on Highway 101 before you head back from whence you came. Black Diamond Winery reopens in March from 11 a.m. to 4 p.m., weekends. Camaraderie Cellars is open weekends May through October. Give the gift of Port Angeles Washington wines this holiday. Offer them as gifts to friends and family, bring them to dinners, and serve them at your table. Try Black Diamond Winery‘s Shiro Plum, featuring plums from their own private orchard. Talk about local. This dry fruit wine is produced from start to finish in Port Angeles, on Washington’s Olympic Peninsula. Try the 2002 Grâce from Camaraderie Cellars. It combines grapes from Fred Artz’ vineyard on Red Mountain, Paul Champoux at Mercer Ranch, and Len Parris at Chandler Reach; the Malbec comes from Crawford Vineyard in Prosser. All these bits of Washington State have been blended to create a wine that has won several international awards, including a Double Gold at the San Francisco International Competition. Drink it now or in years to come. This month’s featured wines at Harbinger Winery are the 2007 Syrah and the 2007 Malbec. 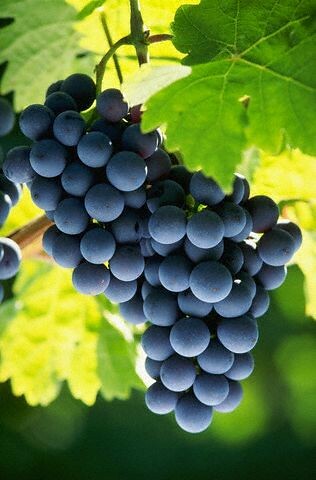 The Syrah is big and bold, with hints of leather and licorice and wonderfully deep, fruity aromas. The Malbec has a lovely backbone of tannins and acidity, balanced by ripe berries. The wines at Olympic Cellars have been made from Eastern Washington’s Sagemore Farms’ and Champoux Vineyards’ grapes for 25 years. There are now three different labels produced at Olympic Cellars: Working Girl, award-winning but affordable; La Dolce Vida, five varietals of premium wine produced in small batches; and Dungeness, a heritage and artist series. Offer these Washington State wines as gifts this year. They’ll be much appreciated. Last August, a herd of elk wandered through our Washington State Winery on the Olympic Peninsula. We assumed it was because they liked the scent of our wine. We can’t promise the elk will drop by for some of our Washington State wine this August, but you never know. We can promise you an enjoyable wine tasting experience. Elk graze near Olympic Cellars, between Sequim and Port Angeles, WA. And our winemaker Benoit Murat has it. Benoit is a native of Toulouse, in the southwest of France. The area between the Bordeaux region and the Pyrénées mountains is home to a great variety of wines, and some of the oldest. We are so pleased to have Benoit here with us, bringing his knowledge and experience to Olympic Cellars, one of six Washington State wineries on the Olympic Peninsula. The Black Diamond Winery of Port Angeles is a delightfully homespun Washington State Winery. Most of the fruits and grapes in their wines are grown on their estate, carefully tended by the winemakers themselves. You can taste the freshness of their ingredients in their refreshing fruit and grape wines. In recent years, Washington’s wine industry has become the fastest growing agricultural sector in the state. The number of Washington wineries has increased 400% in the last decade. But where are all these wine grapes coming from? Located at approximately the same latitude as some of the historically great wine regions of France, including Bordeaux and Burgundy (46 degrees N), Washington has 9 federally recognized American Viticulture Areas (AVA). The majority of these Washington vineyards lie in the eastern section of the state. There is only one AVA on the west side of the Cascades, along the Puget Sound. Only about 1% of Washington Vineyards are in this region. Because the majority of cool ocean breeze is blocked by the Cascade Range before it can reach the Eastern half of the state, the climatic effect is an arid climate, perfect for Washington Vineyards.